In this interview, we talk to Kelsey Collins and Huw Tomlinson, two founders of the Illawarra region based Unregistered Animagi, a new team that is taking this year to start growing, before entering the competitive scene in 2020. They mostly answer questions together. What are your roles in the club? How did the idea for the team come about? Phil – I am one of the 3 coaches and treasurer for the club [the others being Raj Kapoor and Isobel “Obel” Rennie]. 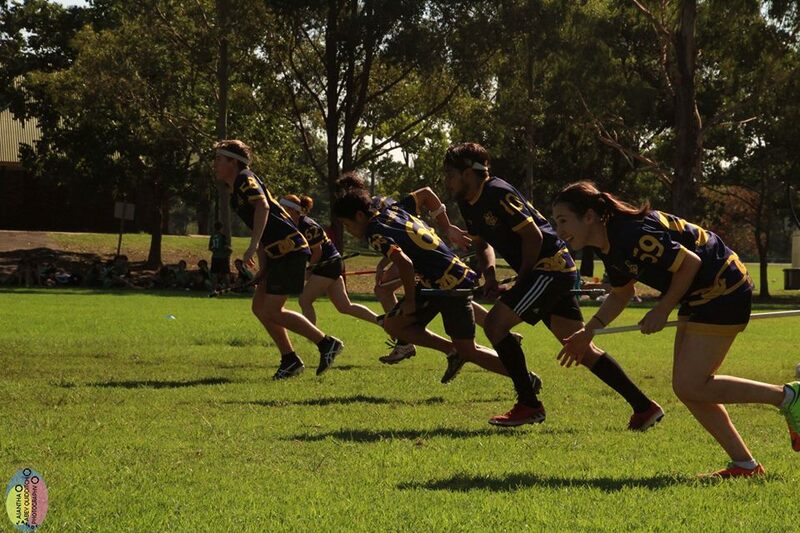 In this interview, we talk to Harry Jones, one of the founders of the newly formed North Sydney based Nightmares Quidditch Club, about how the team started, what the year holds in store for them, and who some of their brand new players are. What is your role/relationship with the team? I am the president, captain, and founder. The relationship is very parasitic. Please help. How did the idea for the Nightmares come about? QUAFL 2018 is taking place this weekend. 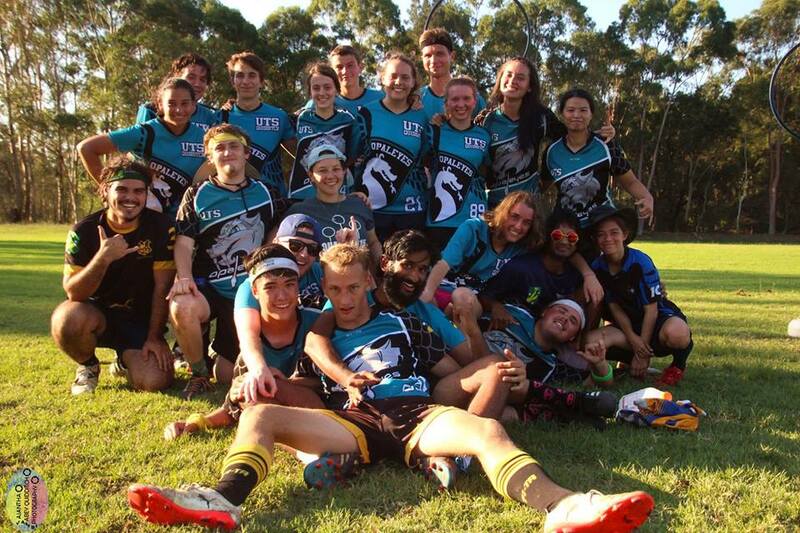 Before 24 of Australia’s finest Quidditch teams converge on the Sunshine Coast for 2 days, let’s take a moment to get to know some of the best teams in each attending state. 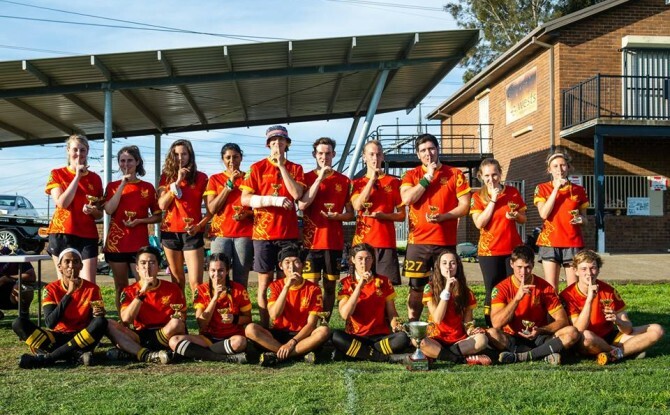 Today we talked to Ajantha Abey, President of the University of Sydney Quidditch Club – The Largest Quidditch Club In The Country – and Co-Captain of the USyd Unspeakables, about his team’s success this year and their goals for QUAFL. How did it feel to win the NQL Grand Final? Pretty great. Pretty relieving frankly, especially after so many near misses on the way there, between things like losing our Blue Tongues [NSW State Team A] keeper Max Brenner to a wrist injury, and Gary Hague catching for overtime [in an earlier game between the Unspeakables and the Sydney City Serpents]. I was honestly fully prepared to lose finals, and focus on QUAFL, but once again, the team showed me up and played some of the best quidditch I’ve ever seen. That’s probably not what felt best about the game – not just the fact that we won, but that everything we’d been training to do over the past year came together with a series of perfectly executed plays, and the synergy the whole team had and the vibe we ran with the entire game made it incredibly fun. I’ve spent a lot of time thinking about this, and at the end of the day, I think it comes down to everyone in the club being incredibly passionate and invested in quidditch, and the club itself being extremely good at engendering and inspiring this feeling in people. As a volunteer run sport, we rely on people using their own time to make quidditch happen – be that at the presidential level running the club, the coaches running trainings, the exec running events, and even just the players and members turning up and training and playing in the first place. On a cold, miserably, rainy Thursday afternoon, you’ll still find people running around Victoria Park on PVC pipes from 2-5pm, and it takes a certain level of dedication and a lot of hard work at all levels to make that happen. 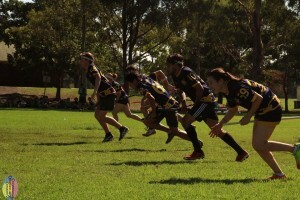 I think what Usyd Quidditch does best is showing people how awesome and fun quidditch is and helping them fall in love with it – and that’s where all of our success stems from. That’s certainly what happened to me anyway. Game One against the Monash Muggles is something I personally have been looking forward to for years. After missing the 72-minute epic 70-20 comeback victory for the Unspeakables at Mudbash 2016, the only other time in the past five years we’ve met was at Mudbash this year, where the score was within 10 points before snitch catch. With both Unspeakables and Muggles losing a lot of their older talent to graduate community teams at the end of 2016, but having a superb rebuilding season in 2017, the showdown between these two teams who in their own regions are proving that university teams are can still be just as competitive as their graduate counterparts is sure to be an incredibly fun and entertaining match – bolstered by the fact that both teams have relatively similar playing styles. Expect some epic beater battles, amazing passing plays, and some quality entertaining quidditch, from both sides. For real though, on a team of star state-level male beaters, Jv James Lim is often overlooked, and always to the opposition’s loss. Jv is one of the most calm and consistent players on the team, capable of adapting to any role and playstyle. His level-headed awareness and understanding of the game allows him to dismantle fast breaks faster than you can tear a perforated notepad page, and he is the worst nightmare of anyone trying to score on brooms up. Watch out for Jv’s adorable bludger boops with beater partner Alex Cunningham – those two do things with bludgers that the greatest minds of humankind are yet to understand. The Sydney City Serpents stand out as an obvious answer here – they’ve been one of our main rivals over the course of the season and the back and forth wins and loses we’ve had with them have pushed us both to up our games more and more over the year. They’re a force to be reckoned with, great fun to play against, and will be gunning for that gold just as hard as we are. I also couldn’t answer this question without mentioning our own Unforgivables and Unbreakables. For C and B teams respectively, both punch well above their weight, and even after losing players to promotions, they’re both teams to look out for – especially as much of the Unbreakables talent will likely end up playing in red next year! The Macarthur Weasleys beat us to the punch and have already published an article about their games for the day, which you can find here. The University of Sydney Unspeakables have, for the first time, defeated reigning NSW Champions Sydney City Serpents in an absolute thriller. USyd’s Alex Cunningham caught the snitch shortly after the snitch entered the game, giving USyd a 70*-30 victory and first place in the NQL Divison 1 rankings. From brooms-up it was clear this would be a very physical game, with an opening drive from Brandon Frison barely stopped by a bludgerless Serpents defence. USyd continued to pepper the Serpents defence with drive after drive, with Keepers Max Brenner and Nicholas Albornoz working in tandem with point-Chasers Frison and Cooper Fitzgerald to muscle their way through to score. The Serpents defence, with the inclusion of Raj Kapoor and Luke Derrick returning to Beating, did well to restrict USyd to just four goals. USyd were just as strong on defence, with a star-studded Serpents line-up finding it difficult to execute under such pressure. Samantha Chittenden was especially unrelenting, leading the way to restrict the Serpents to the lowest score of the season. The Beating game was glorious to watch, with Derrick and Harry Jones having another scintillating face-off to the delight of the crowd. USyd’s Breanna Lee also showed off excellent defensive skill against a far more experienced player in Rhiannon Gordon, consistently denying her a bludger late in the game as the Serpents threw everything at USyd to regain bludger control just before snitch-on-pitch. This top-of-the-table clash was the third heart-stopping encounter between these two teams I’ve been a part of, and the first one the Unspeakables have been able to clutch out. The roar from the sidelines and the jubilation from USyd after the catch was called showed just how much this win meant to them. With so much history between the two sides, you can guarantee that this rivalry will continue to throw up classic games like this one. There’s nothing worse than refereeing a game as exhilarating as Unspeakables vs Serpents, as you do not get to properly appreciate the high quality of their game play. The clash between, in my opinion, the two top teams in New South Wales, is always anyone’s game, and twenty-plus of adrenaline for both players and spectators. I can mostly comment on beater play, as that was what I was watching, though it seems to me as it was what controlled the game. Every goal seemed to stem from the chasers perfectly reading and taking advantage of an opening made by the beater battle. This game saw the return of Luke Derrick to his main position, which gave us beautiful moments of Derrick v Harry Jones, a fight of both strategy and skill, and mostly even throughout the game. You could tell that Derrick hadn’t been beating for a while, but even on an off day he still sits comfortable amongst the best. However, Dropbear reserve Jones is one of the players that can, and will, challenge him, as we very well saw in incredible plays that felt impossible to referee with how quickly the beats were being thrown around. Of course, this was only made possible by the high calibre beater rotations on both sides, to clean up or back up the havoc these two can cause. There is strong talent on both sides, that may not always be noticed due to their main beater’s shadows but having to watch solely beater play it was very apparent that those two players are not the sole reason behind both team’s general beater dominance. Recent addition to the Unspeakables, Harry Huang, proved he deserved the upgrade, fearlessly challenging the opposition in their zone, and participating in a good number of possession changes. On the Serpents side, Rhiannon Gordon refuses to stop improving, covering for chaotic plays at moments, and leading successful beater attacks in others. This is all I can say from an AR’s perspective, but I do hope to be a spectator for the rematch of this game! Macquarie and Newcastle are destined to be each other’s closest games this season, as this game has shown. The game was low scoring, due to a combination of Newcastle’s physical defence making it hard for Macquarie’s still unpolished offense to score, and in return Macquarie’s successful implementation of the Baylor defense (three players each guarding a hoop, fourth is a roving point defender) forcing Newcastle out of their usual offensive game and making it harder, though not impossible, for them to score. An unfortunate – from our perspective, of course – goal from Newcastle right before Macquarie’s snitch catch send the game into overtime (I’m sensing a trend starting for Mac?). Overtime started in Macquarie’s favour, with the team gaining possession of the quaffle and holding tight onto it, relying on the snitch catch to win the game. With intense beater battles around the snitch, it was anyone’s game for a while – until a red card deprived Macquarie of one of their beaters, making defending their seeker and beating the oppositions nearly impossible. The game ended with a catch from Newcastle, bringing the score to a tight 70*-40. Despite coming from the same club, the USyd Unbreakables did not take it easy on their Unforgivable stablemates, using defensive seeking to ensure a maximum points differential win in their quest to top Division 2. For Div 1, I’d say at the Serpents are the best at the moment. 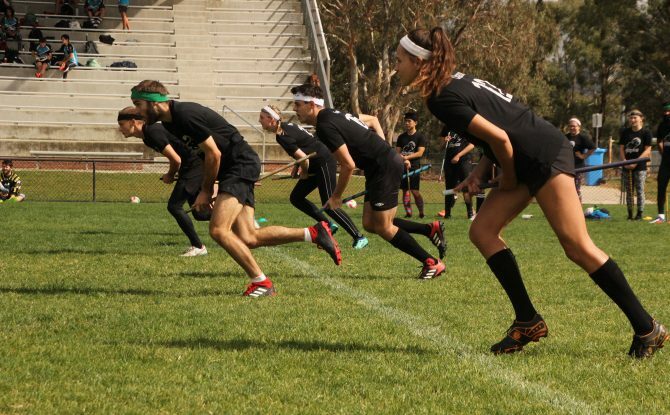 After all, they are a team comprised of top level, committed players, who take the sport seriously and train accordingly, all seemingly well versed in quidditch strategy and passionate about it. Their strict recruitment is understandable when you want to play in a team where all the players take the sport seriously. I hope they are paving the way for more competitive, high level community teams to rise, but right now they have that edge on all other teams. I think there’s a clear distinction in Div 1 between the top four (Serpents, Unspeakables, WSQC and ANU) and Newcastle and Macquarie. Although any of the top teams could challenge Serpents for that first place, especially with the plethora of experience and national and state players they have between them, I consider the Unspeakables their biggest threat. They escape the curse of university teams, that have to work around a squad of players with different level of commitments, due to their ridiculous numbers and three teams. This gives the Unspeakables the advantage of fielding the most competitive, committed and talented players, mirroring what I previously said about Serpents training ethics. Their match up this weekend will be thrilling to watch! As for what the teams outside the top four need to do move up, it’s different for each team. Newcastle has been in a consistent level for quite some time now, and I attribute that to a combination of using the same tactics repeatedly, and a reliance on the same players. For elite teams, their pattern is easy to pick up and counter, as they have both the player skill and tactical knowledge to do so. A dynamic change could help Newcastle catch up. As for Macquarie, they’re one of the three teams that had to rebuild after a mass exodus, but the only one in division one. Although a lot claim this to be ‘unfortunate’, it is a great chance to train the new squad up by being thrown in the deep end. As they’re starting back basically from scratch, what they need at the moment is patience, and a lot of training, and to finding the right balance in doing so as to not overwhelm new players and at the same time not bore the experienced ones. It’s harder for me to pick the best team in Div 2. I think it’s a tight fight for the first spot, but I’m putting my money on Weasleys at the moment. They have worked hard throughout the years to bring themselves to a competitive level, and it was shown last year with them giving top teams close games, and even upset victories. Their relentlessness and unwavering acceptance of all players in the past has provided the team with enough experience and skill to push for that top spot. That being said, they will face quite a challenge from other teams. The Unbreakables have a very solid chance of topping the division as well, now that USyd has made a split between a B and C team. They have shown promising plays in the games I have watched, and have some stand out players, that hopefully don’t get poached by the Unspeakables so that they can help bring the team up. They’re certainly relentless, and some of their plays in offence are quite risky and unadvisable against elite teams, though mostly successful in their division. Playing against equal teams this year will give them plenty of opportunity to learn hands-on strategy and the right calls to make in a game. We can also not discount UNSW or UTS. Their recent turnover of players makes it hard to predict how well they will do this year, but their history as strong teams, and the coaching of veteran players could guide them to the top of division as well. My hot take? There are quite a few rematches this tournament of games that did not go well at all in the previous ones, and this is the tournament that will smooth things over and solidify rivalries. I’d say the Serpents are the strongest side in NSW right now. Their sheer depth and experience place them above all the teams in NSW. Their chaser game is incredibly powerful and can muscle through any defence if their beaters get the upper hand. However, the Unspeakables have the ability to challenge the Serpents. Both Serpents and Unspeakables won all of their round 1 games out of range, with the Unspeakables beating Western Sydney out of range, the team who seems likely to place third. The Unspeakables have an upper foot on the Serpents in terms of all round beater play, and the chaser play isn’t too much weaker. The game this Sunday will be very telling as to how the rest of the season will go. QA Today’s Cameron Caccamo takes a look at the teams that make up Div 2 – including each team’s record, how they’re tracking, and what to expect from them now that we enter pool play. Division 1 analysis can be found here. The Weasleys had by far the toughest schedule over the two pre-season rounds, with four games against Div 1 opponents. The experience should serve them well for the pool play rounds, where they are certainly amongst the best teams in Div 2. Their squad runs deep, with plenty of experience and plenty of people to ensure they will always have a full squad – and against many Div 2 teams, that will be invaluable. When USyd decided to have a proper B and C team – as opposed to two evenly-matched B teams – there was considerable hype over what the Unbreakables could achieve. With a strong beater squad and a couple of high-performing new players, this is a team capable of winning any game in Div 2. Their game against Newcastle was close until snitch was on pitch, and impressed considerably in their other losses. Expect them to challenge for the top of Div 2. Another team with plenty of new players, UNSW is a team on the up. They’ve got plenty of the right pieces, and just needed the preseason to bring it together. A close game against Macquarie will hopefully be a sign of things to come for a team that can definitely challenge teams across Div 2. The game against the Unbreakables should be a good sign of how far they have come since March pre-season. A hybrid team with only two games of experience, it’s difficult to rank “HiHo” fairly. 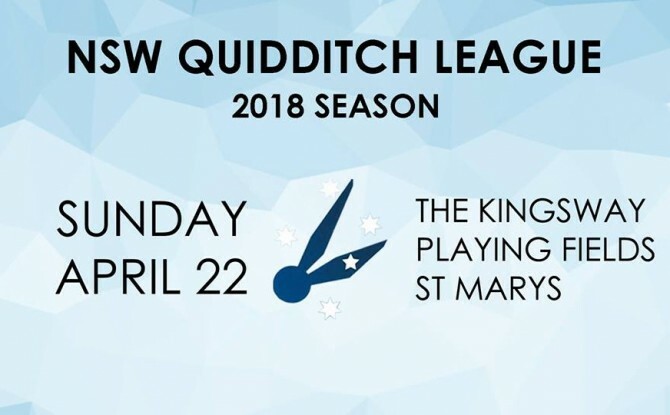 Given their dominance over Wollongong and the fact that most players on the team have considerable experience – just not with each other – we’ll leave them in the middle of the pack for now, but with games against the Weasleys and the Unbreakables they could prove to be among the best in Div 2. It’s fantastic to have Wollongong back in the fold, and their new players would have appreciated the experience across the pre-season. While three out-of-range games against division rivals isn’t the ideal preseason, the Warriors will get better and better every tournament and will definitely look to make a splash in Div 2. Not having the extra pre-season games in March hurt UTS, but at the April games they impressed in their game against the Unforgiveables. If they play like that again they can absolutely mix it with the best in Div 2 – and this weekend they get three of the best in the Division to prove it. The problem are those two forfeits – here’s hoping the team can recruit and keep a full, healthy squad for all of their pool play games. It may look from the results that the Unforgiveables had a stellar day at March pre-season, but that was a totally different team; with none of their new players ready to play, USyd had several players team up with ANU reserves. The April results reflect the real Unforgiveables going forward, a team of almost completely new players. With the new USQL these new players will be getting far more game experience than many of their counterparts at other teams, but will still need a bit of time to learn the game – and games exclusively against Div 2 opponents will help immensely with that. Expect rapid improvement from the Unforgiveables.